Not all dragons are scary. This one looks like he's ready to play! 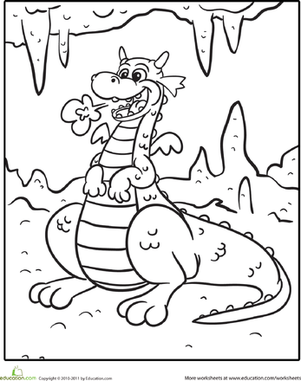 This cute coloring page is sure to make any child smile, and he'll get great fine motor skills practice as he works on coloring inside the lines.